Hello Netizens! 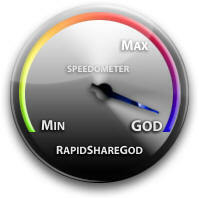 Rapidshare God is not just an ordinary premium link Generator. Unlike other Premium Link Generator RapidshareGod allows you to download directly from rapidshare (Whereas other premium link generators download to their account and then to your account.Its just a waste of time).Just signing up will give you a bandwidth of 101 Mb. You could Get More bandwidth(upto 300MB for a survey) Its pretty easy to use.Try it and share your thoughts here. Hello buddies, We have discovered a fastest way to earn RapidShare Premium Account. You can earn it within 2 to 10 days (that depends on the time you spare) and it’s all free.Just follow these simple steps and you will be all set to have a Rapidshare premium account without spending a single penny. 1. Just click on the link given below the steps. 2. This will take you to the Registration Page. 3. 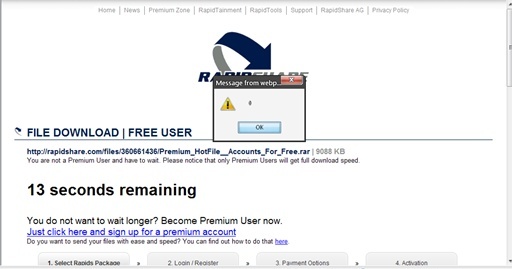 Choose your RapidShare or MegaShare account. Just enter your email and your preferred Password and Join. 4. You can earn it by completing some extremely simple offers and you can also help your friends by referring them too. As many of you may know Rapidshare is one of the best and popular file hosting service on the web. But without a Premium Account you are forced to wait for a specific time (which depends on the file size) before the actual download link appears. This Simple Trick will reset the downloading wait time to zero so that you don't have to waste your precious time and download the file instantly. 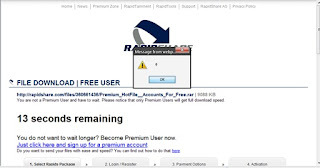 Follow the Steps given below to bypass Rapidshare time trick. 1.Go to the URL of the file that you want to download. 2.Click on the free user button.Your waiting time will start. 3.Remove the URL [(ctrl+A) + Del] and copy the following code into the address bar. 4.Hit Enter.You will see the following message.Click OK.This Will reset the TIMER. 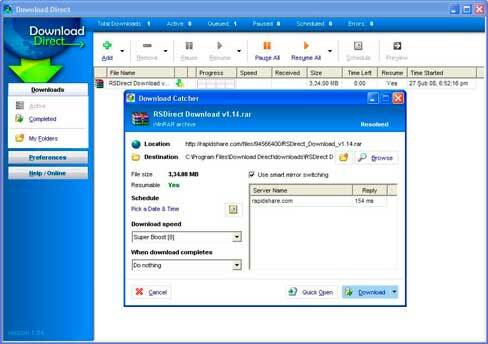 5.The Download link will appear immediately.Click download. Download Your File happily.Did this trick work?